To call snow polo a niche sport is something of an understatement. 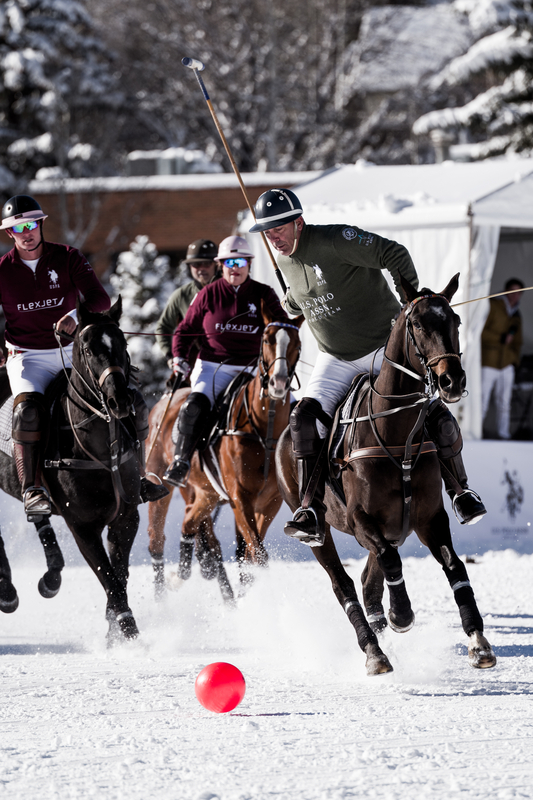 This 22-year-old game is confined to colder climates, winter months, and players with the capital to support a team and its horses (hence sponsors with names like Audi, Flexjet, and St. Regis). Which is too bad because the game is something everyone should see first-hand at some point in their lives. 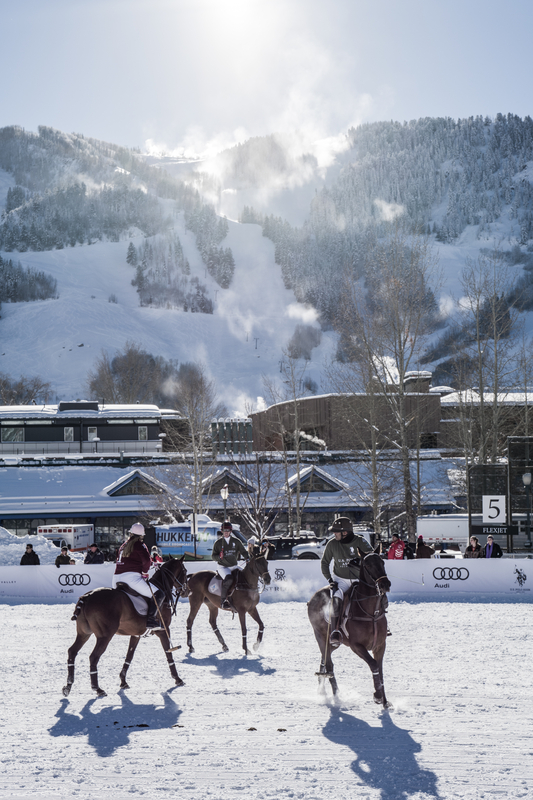 The game is just like polo but on a frozen, snow-covered field, making it faster, more visually stunning, and “much more physical” according to polo legend Nacho Figueras, who turned pro at 17 (more than 20 years ago). Figueras, an Argentinian who has been called the David Beckham of polo, is the face of Ralph Lauren’s team in the summer months, but in the winter he’s with the St. Regis team. As with all good polo players, he gives all credit to the horse. “The polo horse is the complete athlete,” says Figueras. “Race horses are like Usain Bolt; the polo pony is like LeBron James.” He’s talking about speed versus skill. While the average race horse has to be bigger and faster than its competitors to succeed, polo ponies need a different skill set. Figueras tells me that polo ponies need to stop fast, not just run fast. They need to corner and maneuver. And smaller bodies mean they can maneuver better, so the average polo horse is rarely more than 16 hands tall. Snow polo is an extreme sport by any definition: players moving at high speeds on dangerous terrain in extreme conditions. For 28 minutes a snowclad area is a cloud of visible breath from human and horse, a forest of swinging clubs and trampling hooves. It’s played with three players, similar to arena matches. Because of the lighter, bouncier material and the uneven ground, the polo ball can take more unpredictable bounces. “That’s part of the game,” says Figueras. “That we try and keep control.” Players will try and get the ball in the air, juggle it as many times as they can, because juggling a ball on the end of a mallet while on horseback is easier than predicting rogue bounces. The morning of the finals, the temperature is hovering on the edge of double digits. Aspen is 8,000 feet above sea level, so even if you’re able to breathe the cold air, there’s substantially less of it to breathe than, say, Miami. While a well-dressed crowd of spectators in fur huddles near heaters, Figueras, his team, and the competitors gallop around the field in little more than wind breakers and gloves. Steam rises from them and the horses. The ball gets lost among legs and mallets, and even from close by you’d have trouble keeping up with how fast possession changes hands. Fouls are called predominantly when horses are endangered. If you block another horse’s path, it could flip, it could throw its rider. Otherwise it’s played similar to hockey, with rules about how you can swing, and penalty shots. But the game is an adjustment for a man who travels the world playing all forms of polo. And he’ll have to make that adjustment again next year. For now, a break. Some of the horses will travel back to Miami, while others will stay in Aspen for the winter. Figueras will play in a dozen other climates between now and next year’s tournament.